Veteran defender Russell Martin has become MK Dons' first signing of the January transfer window. The 33-year-old former Scottish international defender has been at Walsall this season, but will be mostly known for his near 300 appearances for Norwich City where he spent nearly 10 years. He also made more than 100 appearances for Wycombe Wanderers. The defender left Walsall yesterday (Monday) citing 'family reasons' for his departure. 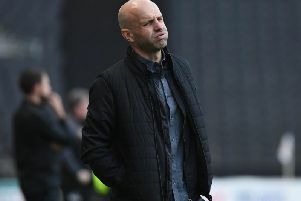 Dons boss Paul Tisdale added: “We’re adding to our strength. We don’t want to have another December like we just had, when we lost a couple of defenders, so I felt it was a necessity to bolster that area.